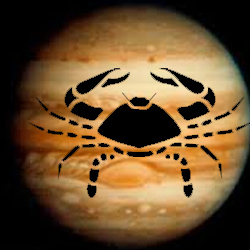 Jupiter is getting direct in Cancer on April 8, 2015. What changes this Jupiter direct will bring in your life and the world around? Read the horoscope predictions given by astrologer “Acharya Raman” and get to know about your time. Jupiter will turn direct in zodiac sign Cancer in the first quarter of Aslesha constellation (Nakshatra) on April 8, 2015. Jupiter is travelling in its exalted sign. Jupiter getting direct will produce benefits for many astrologers. Positive results will be seen for those who have benefic Jupiter, but others may have to face inauspiciousness. Result of legal matters may come in your favor. Luck will support. You will get fame at workplace. Your mobile and internet expenses will increase a lot, you will also waste a lot of time on them. Auspiciousness will come in your family life. All the misunderstandings and disputes will settle down with people. Love relationships will do great. Progress will come in education. Time is appropriate for giving any competitive exam. Your interest will increase in yourself, a feeling of selfishness will be there. The tendency of consumption will be more in you. You may feel some complications in the beginning, but things will get resolved with time. Love relationships will remain very good. Auspiciousness will prevail in married life. Progress will come in education. Expenses will increase on religious tasks. You may have to travel a lot. Your mobile expense is likely to increase and you will talk a lot on it. Great chances of financial profits are there. You will like to do some shopping and surf a lot of internet sites for that. Benefits will come by performing great at workplace. Respect or any present is likely to come from in-laws. Quantity of oily food will increase in your diet. Support will come from higher officials. You are also likely to achieve a better position in education. You will get relieved from a situation of dilemma in personal life. Your children will perform great. Your love relationship will improve and all the misunderstandings will disappear. Your luck will support you. You will get divine cooperation. Minor health problems may arise, but they will not disturb much. Solution will come along with problem, but you need to identify it. You may buy an expensive cellphone or a laptop. You may also invest in gold. Disappointment is possible in love relationship. Your performance will remain great. Progress will come in education. You may get good marks. You may also pay an installment of old debt. Some losses may come from friends. Luck will not support much. You may feel a bit uncomfortable regarding religion and spirituality. Married relationship will improve and you will also get plenty of bed pleasures. This is a good time for planning for a baby. Some reductions are possible in your love relationship. You are likely to clear exams with good marks. You will feel good. You may surpass others in giving suggestions. You will perform great at workplace and businessmen will get profits. Your work will remain great. This is good time for changing job. Meetings are possible with old friends and relatives. There are good chances of financial profits. You may do something for maintenance of your vehicle. Luck will support. You have to take care of your health. It would be better to have light food. You will talk a lot with distant friends. You may have to suffer loss for helping any of your friend. Interest will increase in spirituality. Health will be good. Good chances of financial profits are there. You may get commission from any deal. Stay cautious, as you may have to face defamation from any reason. Love relationships will improve and you will enjoy happiness. You are also likely to gain bed pleasures. Married life will remain normal. You will find peace and happiness in worshiping god. Your spiritual practice will also continue well. You may feel reduction in self-confidence. There are chances of any hidden income. Some problems may arise in personal life. Love relationships will remain great. Some reduction may come in level of education. You may also have to face some difficult situations at workplace. You may feel lack of mental peace. Good progress will come in spirituality and prayers. Married people will lead a very peaceful life. Love relationships will remain great. You will like to do more of good works. Health of your spouse may remain a bit weak. Luck will support and you will feel good. Normal improvements will take place at workplace and profits will come in education. There are many chances of getting a good job, you should keep on trying. You can be placed at your favorite place. Stop taking oil, chillies and excess of sweet in food. Avoid smoking and alcohol. You may get diabetes. Intensity of love may decrease in love relationship. Married life will be fine. Normal improvements will be there in education. Health will also remain normal. Chances of getting financial profits are a bit weak. Love relations will improve and married life will also remain good. Your interest will increase in religion, spirituality and Mantra-meditation etc. You may think of changing job. Lifestyle will be good and you will also remain happy. You can achieve something big in education. You will remain affectionate toward others. Your social circle will increase and relations will develop with influential people of society.